What does it mean to have dual citizenship? When you are born in a country, you automatically gain citizenship of that country. Later, you can become a citizen of another; now you have dual citizenship because you are a citizen of both countries. Getting citizenship from another country can be achieved in different ways. Once you have dual citizenship and you travel, there could be some difficulties you encounter going to other countries. It is best you do your research before visiting. You can obtain citizenship from another country in a variety of ways. If you reside in the country as a permanent resident, you can become a citizen through naturalization. You can also become a citizen by marriage or as a child of the union. Some countries also use a lottery system to grant citizenship to others who are seeking asylum for prosecution. 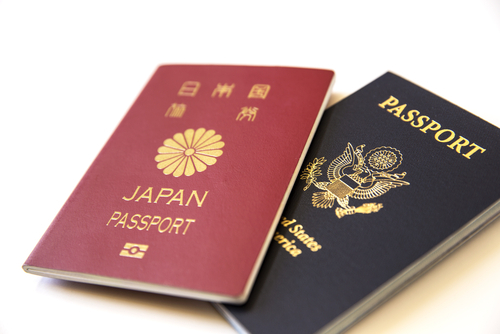 Once you have dual citizenship, you must now know the laws of the countries you plan to travel. Keep in mind that countries have their rules and you as a citizen must abide by the laws when you go to it. When you plan to travel to the country you hold citizenship, make sure you have a valid passport. Most countries like the U.S. requires its citizens to leave and enter the country with a valid passport of the country. So, if you have dual citizenship, it is best to use a passport of the country you will visit to enter or exit. Some countries, especially in the Middle East, scrutinize travel documents from anyone who is traveling from countries they deem hostile. For example, Syria does not permit entry to anyone who visited Israel. Some countries require their citizens to serve a minimum number of years in their military. If the country you plan to visit is one which implements this rule, make sure you are exempted from this law. Some countries do have an exemption for non-resident citizens. If there is not clear law for it, it is best to consider not to travel until you have some clarity on your safety before going. Again, having dual citizenship does not exempt you from tax laws in a country you carry citizenship. Some may consider you pay tax on income earned abroad. If you travel to a country will similar regulations, you may require paying your share of taxes, or you could be held until you do. Speak with a financial adviser with who knows the tax laws in the country you will visit. Gaining dual citizenship by marriage can be legal in one country and not another. Some countries do not recognize a marriage outside its borders, particularly to partners who are not a citizen of that country. Similarly, children of the union are not considered a citizen of their parents’ native country. But some countries give citizenship automatically to a husband and wife who gets married if one or the other is a citizen of the country. For example, a woman who marries an Iranian national automatically gains Iranian citizenship. However, the woman cannot leave without her husband permission. Also, she cannot fly with the kids without his consent. She can divorce and renounce her citizenship, but the kids cannot. So, traveling to countries with strict laws can create a significant issue when you plan to depart. Know the country’s laws and how they will affect anyone who carries dual citizenship when they travel to the country.